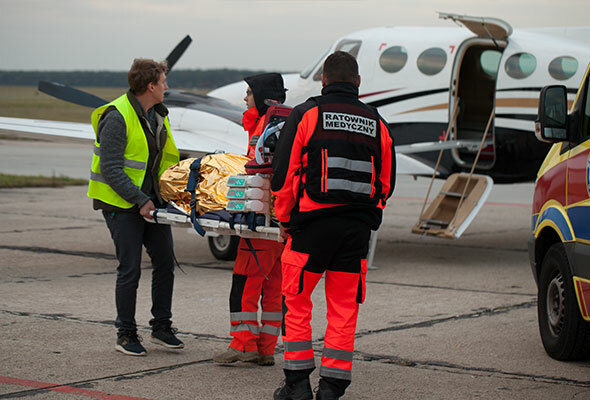 As Smart Jet MEDICAL TRANSPORT, we provide services related to so-called repatriation of sick or injured, i.e. from abroad back to the country, transporting people to their planned medical treatments, surgery, medical consultation services, evacuation i.e. the transport of victims between medical facilities and all transport for medical purposes, i.e. requiring the assistance of a medical team during transport using aircraft. We are available 24 hours, 7 days a week, all year round. Our operations cover the whole of Europe, northern Africa, and neighboring Eastern regions (Belarus, Ukraine, the western part of Russia). We provide medical transport services for individuals, assistance entities, as well as payers responsible for refinancing the costs associated with the transport of injured or sick. 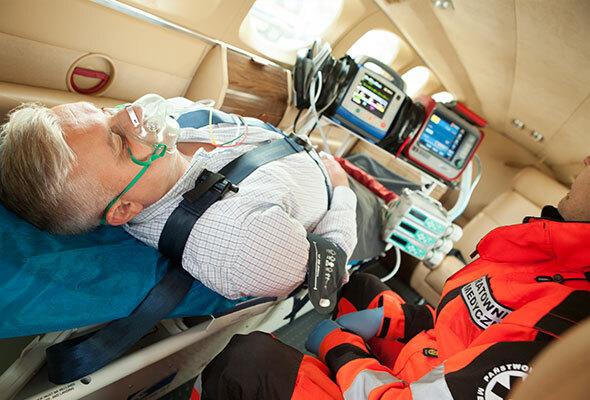 Anyone facing the need or necessity of medical air transport is our potential Client. In order to ensure efficient transport of sick or injured, we provide not only the aircraft, but also comprehensive, “bed to bed” transport facilitation. This service places the injured or sick person under the constant supervision of our medical team, from the moment of leaving a facility, until delivery to the address indicated in the order. As a carrier, we take responsibility for all links in the transport chain, at any time and at every stage of its duration.